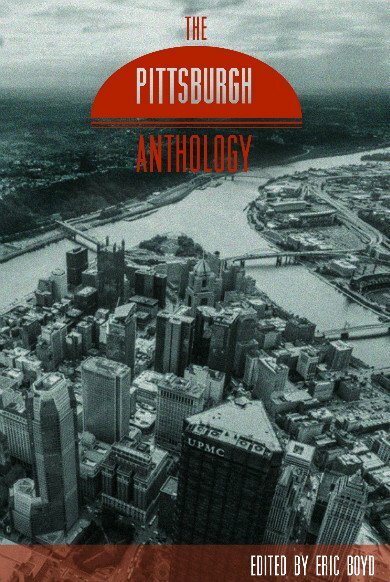 Belt is thrilled to be publishing The Pittsburgh Anthology in September, 2015. Below is the introduction to the book. Find out more about it here. Pittsburgh is changing. I don’t know if it’s for the better or for the worse. I once worked for the USW … as a camera-man for their secretly-funded protest of Chinese goods. I worked on top of West Mifflin’s great Slag Mountain … at the local Wal-Mart. I even worked in Homestead, but long after the mills there had been paved over. What’s always been odd is how much history was a part of those situations. Little remnants of the old steel industry are littered across the area. A smokestack here, a ladle rail-car there. But while the shadow of this town’s past is long, it’s not inescapable. Braddock and Clairton still have mills, but it’s possible to meet people there who have nothing to do with the steel industry, and whose families never did. Pittsburgh’s moved on. It’s had to. It’s moved on to new money — to hipsters, craft beer, technology. Roads and bridges are being fitted with bike lanes. The Southside’s Carson Street is getting more and more upscale bars and hookah shops. The economic wounds of the city seem to be stabilizing, though it’s hard to know exactly at what cost. This collection of essays and art will attempt to examine modern-day Pittsburgh from every angle. My hope is that it will be surprising, elusive, and different. For instance, our very first piece isn’t set in Pittsburgh; instead, in a nod to the all-too-familiar story of Pittsburghers who aren’t here anymore, Bethany Lang will describe how hard it is to go on a date when you’re away from the town you love. So everyone knows all of that; instead, one of the book’s early pieces, by Jody DiPerna, takes a look at some of the teams people may not be as familiar with. Elswhere, Nico Chiodi — at 15, the book’s youngest contributor — tells us about the Pittsburgh Banjo Club, popular among those who know of it, but a hidden gem for most. 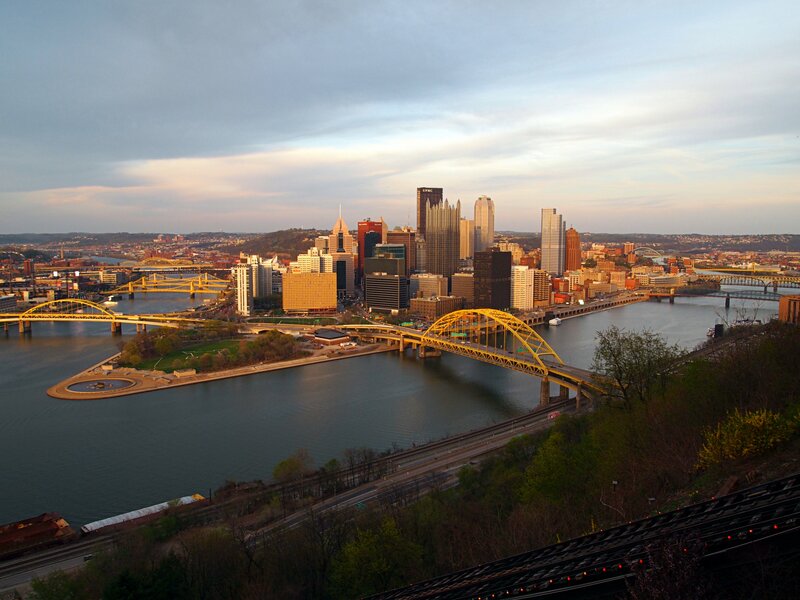 Sean Posey asks what exactly makes Pittsburgh this country’s “Most Liveable City” and Brendan Hykes attends a number of the various conventions that have become so popular here. Cody Mcdevitt examines the pros and cons of Western PA’s casinos, and Jess Craig shows us all of the love and friendship that surrounds the Allegheny County Jail. Finally, Rachel Wilkinson travels through the centuries that took Homestead from an American industrial giant to a gentrified big-box shopping plaza. In many of these pieces it’s impossible to say if a good thing is happening in a bad place, or a bad thing in a good one. It’s a fine introduction to our city of proud contradictions. Art and photography show up, as beautiful as it is unexpected; every visual in this book is striking and dreamlike. To have folks like Robert Qualters, Rebecca Morgan, and LaToya Ruby Frazier in one book is a feast you won’t soon forget. Reflections on the past take root in the present as Matthew Newton shows the personal toll of this region’s high military enrollment (1 out of 12 citizens in Southwestern PA is involved with the military — over a quarter of a million veteran families — making it one of the most concentrated areas in America). Yona Harvey gazes into a photograph from the city’s 1968 race riots and, in turn, looks at what the city is today. Amy Jo Burns, author of the mesmerizing Cinderland, continues to explore how her hometown — the place she most loved — was the place she most wanted to leave. Terrance Hayes reads a poem about a wondrous alternative dance club that isn’t there anymore. In an aptly named piece, Dave Newman takes you through “A Middle-Aged Student’s Guide to Social Work” (originally published here at Belt). And, greedy as I am, I even take a look at how the medical community in Pittsburgh provides opportunities for some of the more financially desperate residents here, myself included. We’ll end the book, appropriately, with a call to enjoy some modern art and go shopping (hopefully for more copies of this book, eh? Friends, family, turnpike attendants … they’d all like one. Please folks, we need the money). The writers and artists in this collection will go through the history of Pittsburgh to figure out why it is how it is today. Everyone in this book is talking about the city, the things surrounding it; all of the pieces have been created with experience, intimacy, and personality. This book, I hope, will speak to you, not at you. Because we all know this city is changing. We’re just not exactly sure what that means. So sit down and we’ll figure it out together. This round’s on us. Eric Boyd is the editor of The Pittsburgh Anthology. He has lived in and around Pittsburgh most of his life and is currently writing a short story collection based in Homestead, PA, called Brownfields. His writing has appeared in, among others, Prison Noir (Akashic Books), Words Without Walls (Trinity University Press) Guernica, The Offing magazine, PEN America Journal, and Fourth River. His blog is over at EricBoydblog.tumblr.com. Go here to see the Table of Contents to The Pittsburgh Anthology. Belt Magazine is independently owned; become a member and support us (plus get cool stuff for free).